Buy the 3.5" x 8" "Breast Cancer Awareness" Pink Ribbon Car Magnet in our classy, clean, ribbon design. 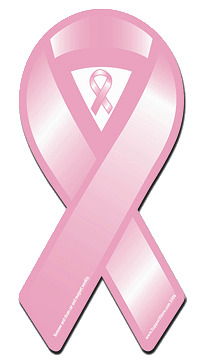 Our "Breast Cancer Awareness" ribbon magnet is manufactured and printed in the USA. We print on premium quality, super-thick (.030) magnetic material with UV protected inks. The magnet looks great on my vehicle. I liked it so much in ordered a second one.